With 56 robust workflow Actions (The Essence), and 57 unique artistic toning Actions (The Artisan), the Luminosity Collection will give your images clean, vivid colors and striking black and whites while giving you the power to create your own unique style. Consisting of two sets, the Essence and Artisan, the Luminosity Collection gives you essential color corrections, rich color shifts and color pops, vibrant artistic toning Actions, plus beautiful and deep matte finishes to help you create your own vision. You will love the Unique “Blender” actions included with Luminosity. With these amazing Actions you can run all Actions in a category at once to try them out or simply mix and match to help you create your own special recipes. Let Luminosity’s powerful workflow Actions help give your images the clean, vivid, and vibrant edits you are after! Photoshop CS2-CS6, CC and Photoshop Elements 6-2019 Mac and PC compatible. Learn how to get stunning effects with a library of video tutorials and a 50 page "recipe book." 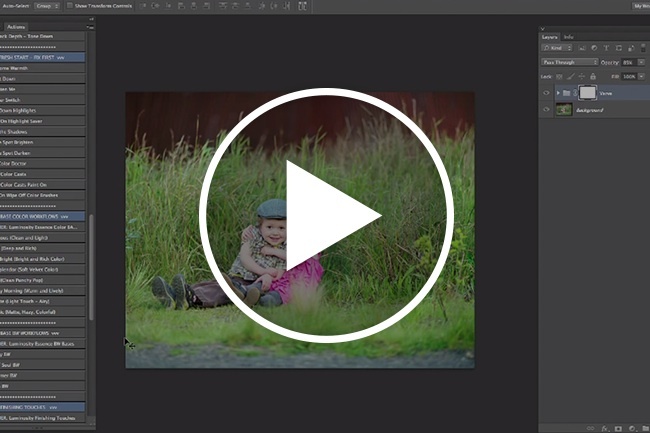 Spend less time editing and more time doing what you love with one-click workflow sequences. 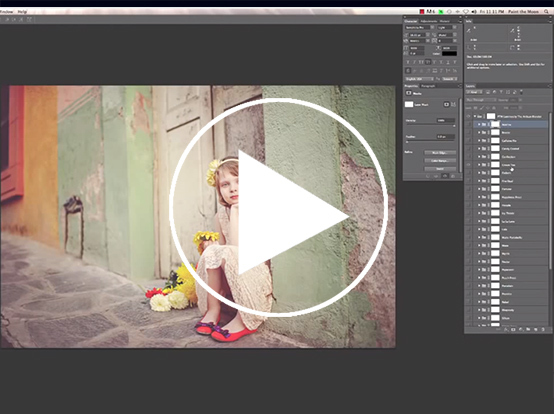 Achieve clear, bright and polished images with these robust foundation and workflow actions. Turn your photos into art with the color shifts, toning, hazes, mattes and unique finishing touches. Turn your vision into reality every time. 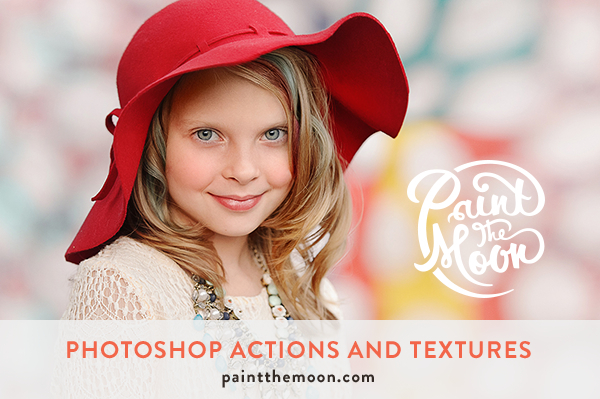 Paint the Moon actions are meticulously layered and non-destructive for easy and complete customization. 57 actions that let you create your own beautiful, clean processed image, in vivid color or stunning black and white. With a wide array of All-In-One base Actions, the Essence gives you the tools you need to achieve anything from the light and airy look, to the more deep, rich color-infused dramatic edits you desire. In addition to the color All-In-One base Actions there are four All-In-One workflow Actions for a number of creative black and white edits – from classic and rich, to matte and airy, or soulful and vintage. Plus, special finishing and correction tools will help you add that velvety blur to your backgrounds, paint on crisp details, or simply brush on amazing, vivid colors. 56 artistic actions that offer you limitless opportunities to quickly and easily transform your images. With popular matte and haze finishes, beautiful and vibrant color pops, to special tools to brush on creamy, glowing skin tones, the Artisan Actions give you and your images the perfect finishing touch. There’s a little bit of everything creative in The Artisan! I am completely smitten with these actions! I love how I can customize them to suit my style. No matter what your style is, they are SO versatile that you can create any type of look you want. There is no secret behind Annie’s well-deserved success in this field. She is an awe-inspiring camera-artist, but more than that, an artist, a mother, and a hard worker. PTM actions are the best actions I have worked with by FAR, and it is obvious that Annie has a true talent and desire to bring only the BEST original, and gorgeous hand-crafted products, so that you can quickly and easily create beautiful, vibrant, and lavish photographs. Annie has inspired me as I have learned photography, and always been there when I needed a helping hand. I’ve been in business for a year. Family portraiture is my specialty. Until last week, I would spend an unreasonable amount of time getting my images just right. The first product I’ve purchased will not be my last, as it has increased my productivity 10 fold. I thank you for making it so easy. I thank you for making it so very worthwhile. We all want the perfect image SOOC, but this just, well, makes perfect even better! It’s been a week since I purchased your Luminosity bundle. I’m still learning and going through the ropes here, but I would like to thank you for this product. Each photograph is a new journey and inspiration now and I’m enjoying my work once again. AMAZING! Annie has perfected her actions and cut hours off of my editing time. She is quick to respond to all inquires and very helpful. I recommend her actions every chance I get! I have used other Photoshop actions, but none of them come close to yours. They really are AMAZING! As a relatively new user to Photoshop, I can’t believe how easy they are to use. Also, they have taught me so much about Photoshop! Beautiful and easy to use actions (with ‘how to’ instructions along the way! Absolutely appreciated by this newbie :)) Thank you, Annie, for making it so easy to bring life to my photos! I am a mom with a full-time job and two kids that takes photos of them for fun and posterity, your actions have brought me so much joy in what I can do to elevate and creatively enhance my pictures. What you have created is amazing and helps make Photoshop a little more accessible for those of us who aren’t as well versed in it. Thank you!! 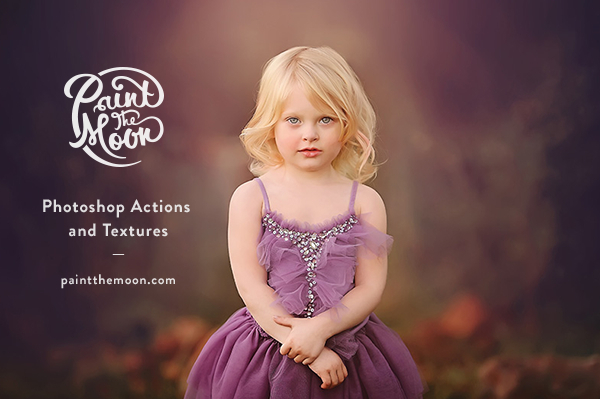 Create lush looks from rich color pop to soft, dreamy effects. Add artistic light and pretty skies. All-In-One workflow, specialty Outdoor and Beach mega actions, bokeh and quick portrait touch-ups. Easily create vibrant, colorful and creative looks. All-In-One power workhouse edits for both outdoor and indoor photography, endless creative options in color toning and specialty brush on tools. Ultimate portrait retouching set for creamy, smooth skin, eyes that sparkle and perfect skin tones. Includes powerful All-In-One makeover actions plus essential workflow tools for clean, sharp photos.